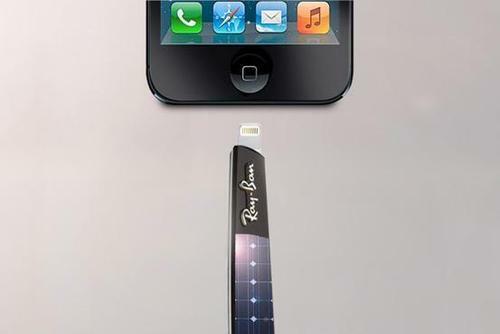 Ray-Ban Shama Shades: Sunglasses that charge your phone! Simple, yet clever. That are the Ray-Ban Shama Shades. These Ray-Ban sunglasses have photovoltaic cells which are wired to a battery. In contrast to most electronic gadgets (Google Glasses, smart watches etc. ), these sunglasses are really fashionable. So the fashionistas out there don’t have to be afraid to look silly or unfashionable when wearing these sunglasses!